Why is it that some always see the glass as half empty, while others always see it as half full? What is it about some people who are always upbeat and positive? And why does misery love company and why do negative people generally find each other so that they can complain about their lots in life? Maintaining a positive attitude is essential to your overall health. Have you ever noticed that negative people get sick more often? As we have previously determined, that’s because mental attitude has a lot to do with physical health. 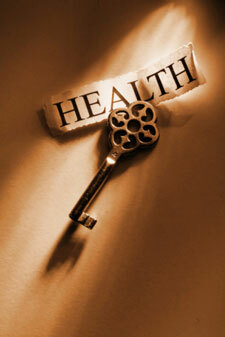 It especially affects your cardiovascular health…and it can even influence your life expectancy. Adopt an attitude of gratitude – Instead of always looking at what you don’t have. Look at what you do have and be thankful. Positive begets positive, and the reverse is also true. Be of service to others – Those who do for others accomplish two things- they tend to forget about their own troubles and in turn help someone in need. Get enough rest – It’s hard to be positive when you’re cranky because you haven’t gotten enough sleep. Make sure you’re getting enough rest to charge your batteries. Eat well – Instead of reaching for that sugary snack that you think will make you feel better, reach for some raw vegetables and dip. Watch what happens to the way you feel! Exercise – This is my favorite. The importance of this was mentioned in some of the previous articles I have wrote and published. The benefits of exercise have been proven over and over again – and exercise releases “feel good” chemicals in your brain known as endorphins. Reduce stress – As much as you can, try to alleviate stress in your life and stay away from sources that give you stress, whether their toxic people or situations over which you have no control ( i.e. the news). Many people choose yoga, massage, spiritual practice and yes-even regular Chiropractic care as a way of feeling balanced and dealing with the everyday challenges in life. Whatever your present attitude, you can reach new altitudes in well being by just looking at the world a little differently. Hopefully today’s article helps!! !